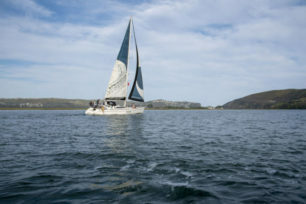 Springtide charters offers exclusive and unique sailing cruises that showcase the natural beauty of Knysna, whilst you sit back and soak it all up. 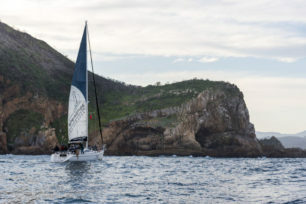 Join us on the beautiful Outeniqua yacht and allow our experienced crew to take the helm, while you sit back and enjoy the splendour and combination of salt, air and scenery – what we like to call vitamin-SEA! 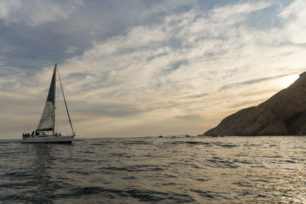 Experience an enchanting Knysna sunset aboard the beautiful Outeniqua whilst sipping on a glass of chilled bubbly. Enjoy a scrumptious lunch aboard our elegant, 50 ft mono hull yacht, while admiring the picturesque surroundings of the Knysna. 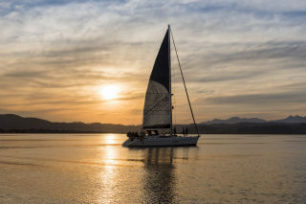 Climb aboard the Outeniqua yacht, for an exclusive sailing charter - perfect for a romantic experience or exclusive function. 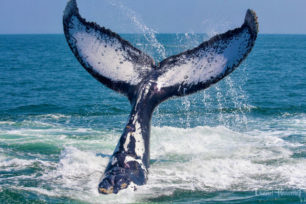 This short, but sweet sailing experience, takes you on a 1.5 hour journey through the diverse waters of the Knysna estuary. 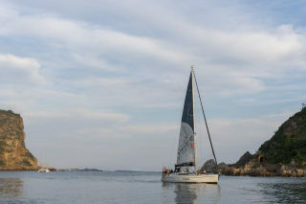 Take a 4 hour sabbatical from life and climb aboard the Outeniqua yacht, for a sensational experience.